It's Here! Our 2018 Christmas Tree Directory. Most of the farms open the day or weekend after Thanksgiving. Our growers are cut your own and most offer many other items to make it a day of fun. Some things to look forward to, depending on where you go, are wreathes, roping, wagon rides, gift shops, not to mention hot cocoa, baked goods, popcorn and cider. Farm crews are always available with extra saws, baling, carts and will even help cut the tree!! 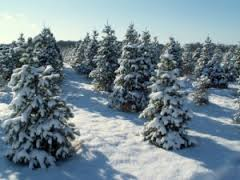 So, if you go, enjoy and we thank you for supporting our local Christmas Tree growers.